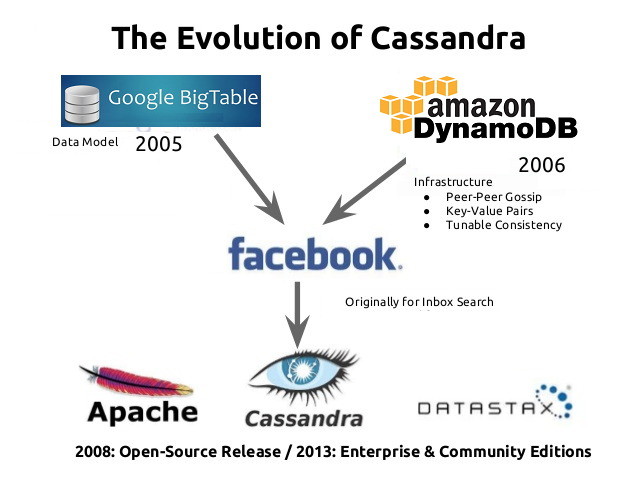 Cassandra was first developed with combination of Google BigTable and amazon DunamoDB at Facebook for originally for inbox search. It released open source in July 2008 by Facebook. Apache incubator accepted Cassandra in March 2009. Cassandra is a top level project of Apache since February 2010. The latest version of Apache Cassandra is 3.9 and released on September 2016.